on the savage beats. This is the clearest form of expression in music with the artist giving it to you straight. The impact and depth of hip hop music requires special skills that not all headphones don. The usual audiophile headphones might bring you the punch after some boosting. The casual hip hop freak requires a bold and defining headphone that will rock the bass and twerk the sub-bass. We selected the 10 best headphones for hip hop music that will have you dancing its tunes on the spot. They are spread over a wide price range so none of us rap-loving brethren are left without the power of healthy bass. 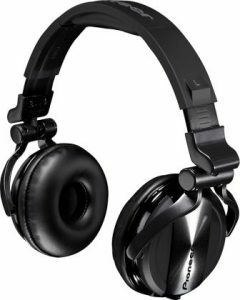 What to look for in best hip hop headphones? Sound signature: Now most audiophiles will prefer a headphone with a neutral sound signature. You can jazz up the bass here and enjoy your Rap and R&B. But what of the people who simply connect their headphones to their smartphones and go with it. Neutral headphones often sound weak in the bass department based on the tastes of a casual hip hop listener. And their focus might be on ultra-clear midrange. A good hip hop headphone presents excellent bass quantity and quality. The best ones covered here definitely have a small inclination towards the lower frequencies. To get a visceral impact out of them, the sub-bass content should also stand out. The deeper these headphones resolve their lower frequencies, the bolder the audio gets. The quality of bass is also important. It should be decently detailed and not simply boosted to be boomy. The bass boost, if present, should be tastefully executed so as not to bully the midrange. The strength of bass need not cloud the midrange frequencies. These are responsible for the vocals and the artists’ voice is what makes hip hop relevant. Design: A good hip hop headphones should go with the groove of the music-lovers. A hip hop fan is most likely to have their headphones on continuously, blasting their favorite tracks all-guns-blazing in public. Jay Z and Tupac’s music deserves nothing but the snazziest gear. The looks of the best hip hop headphones should reflect this. And the style should sit effortlessly and without a hard clamp on your head. Some headphones also turn into the Red Priestess’ sacrificial bonfire for your ears after a while. It’s best to avoid headphones with such steamy ear pieces. Since hip hop gets you shaking a leg you are likely to move your head with the music. The dancing and head-banging should not wear these headphones. In essence, just like the music, the design should be robust too. It should stand to the abuse of continuous and somewhat energetic use. We also appreciate detachable cables. In case the cable fails, you don’t have to chuck the whole package. 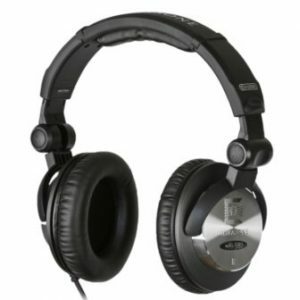 Open-back vs closed back: While open-back headphones offer good quality and quantity of bass, they don’t offer the same impact as the closed-back headphones. In the latter, the air is trapped between the driver and the closed back. This produces more whack in the bass. The open-back headphones have a wider soundstage though. 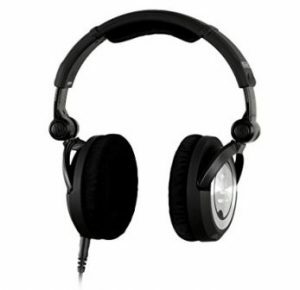 Price: There are good hip hop headphones in every price range. Beyond a $200-300 price range, the difference in the audio response of the headphones usually blurs for untrained ears. Within the $0-300 range there could be a marked difference in the quality of bass. The more detailed the better. Headphones vs Earphones: Earphones are definitely much easier to carry around. But earphones can’t pack the drivers the size that headphones have. While a good earphone may produce all the frequencies coming from the headphones, it will not have the same impact. Hip hop fans want to shake with the music than have earphones produce the music meekly although conveniently. 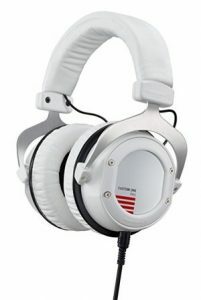 What are the features of high quality headphones for hip hop? Audio: We picked the best hip hop headphones with warm and a bass-inclined signature. Any headphone with overt focus on midranges or a bright signature is avoided in this list. Neutral but warm-sounding headphones were retained. We checked that they convey the true spirit of the hip hop music. We also checked that the audio response is agile enough to deal with the fast beats of hip hop and the thick mix of instruments. Durability: The life of headphones is a bone of contention everywhere. We picked up sturdy headphones that would take on daily abuse. Headphones with cases and metal reinforcements are given reinforcements. We also went for thick or braided cables so that they withstand the yanking. Features: Other characteristics like Bluetooth connection, detachable cables, foldability etc. earned these headphones brownie points. 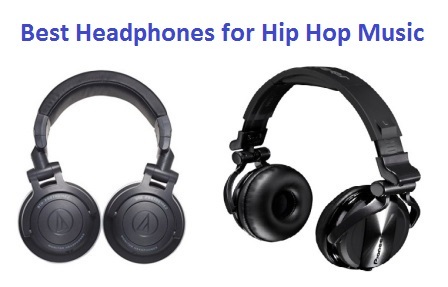 Price: We selected the best hip hop headphones over a wide price range. Headphones from different price points were compared based on their value for money. Regardless of your budget, you should get the best out of it. customizable bass levels are perhaps a hip-hop fan’s biggest boon. And unlike many such cans, this isn’t a marketing gimmick. Give it to one of the top audio brands to take this fancy feature and ace its execution. These headphones also offer a number of design customization features along with a detachable cable. And all this at a very reasonable price. These sang themselves straight into the best hip hop headphones list. The Beyerdynamic Custom One Pro Plus(COP+) hip hop headphones are deceptively fun headphones. 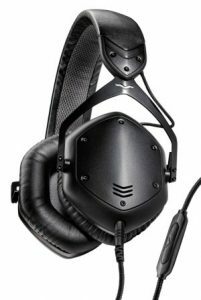 They have a muted matte black structure which looks classy with the default earcup backplate. Up close, you notice that the plush padding on the metal headband is removable. The headband clamp pressure is just right to keep it from dislodging. It can be switched for a color of your choice. The adjustable headband has metal dots to guide you through even extension on both sides. This leads to a metal fork from where the plastic earcups dangle. The earcups are round with soft and adequate padding. This is topped with pleather draping. A sheet of felt covers the drivers. There’s a 4-step bass slicer switch at the bottom of an earcup. The back side of the earcups of these hip hop headphones is more interesting. This has a rectangular oval area showing the earcup backplate. You can remove the backplate and switch the designs. Beyerdynamic supplies 8 pairs of such plates with different design on either side so you have 16 customizations. You can also print out your own design on a high GSM paper and cut them out to appropriate size. These hip hop headphones have two detachable cables. This single-sided cable can connect to either earcup via a locking port. One cable is a simple audio cable while the other has a single-button remote with mic. These are thick cords that can stand some yanking. The audio cable has a threaded end to attach a ¼ inch adapter to connect to amp, DAC and the like. It would be prudent to buy a hardshell case for these headphones. One does not come with it. The highlight feature of Beyerdynamic Custom One Pro Plus hip hop headphones is adjustable bass. You can go from neural at the lowest setting to basstastic on the highest setting. But here’s where the audio experience of Beyerdynamic comes into play. Usually the bass at the highest level tends to be muddy in other headphones. But the COP+ bass maintains its detailing and control right up to the fourth setting. Even at the highest setting there isn’t any distracting bass bleed into the midrange. The vocals remain distinct even if though the bass is boosted. With each setting the audio gets more body. These hip hop headphones are not limited to their character in bass. The mids are affected by the volume added by bass. For an ardent hip hop fan the 3rd slider position on bass control would be a perfect balance between bass and mids for this genre. The treble is smooth with just a touch of sparkle and no sibilance. The soundstage and instrument placement are better than closed-back headphones in this price range. completely embraces the spirit of the hip hop genre. Val Kolton has annealed style with durability so effortlessly in their headphones that they do justice to Nicki Minaj and Lamar. A basshead will be enamored by the low-end performance of these cans, which is the best in the game. The excellent accessory kit alone would dazzle you. This is a pricey headphone but it’s worth every penny. If you have the budget, these are the best headphones for hip hop music. The V-Moda Crossfade M100 hip hop headphones look battle-ready. Most of the design is done in lightweight metal. The headband is thin but broad metal structure with vegan leather covering. The underside is made of breathable mesh. The earcups are of the typical V-Moda hexagonal shape. They have plush and large memory foam padding draped with faux-leather. This is excellent at isolating you from ambient noise. The earcups can turn and fold into the arc of the headband. This reduces the headphones into a nice tight package. The back of the earcups carries customizable earplates which can be laser engraved with your logo or personal insignia. These hip hop headphones have been tested by military level standards. They can survive through 70 falls from up to 6 feet height. The headband is contortionist and can survive complete flattening over 10 times. It is also resistant of environmental factors. There are 3.5mm ports on either earcup. But only one is required to connect to the cable. The M100 comes with an exoskeleton case that packs the headphones very compactly for travel. You can optionally outfit it with a Boom-Pro mic for gaming. These V-Moda hip hop headphones come with two Kevlar-reinforced cables: one is a simple audio cable and the other has a mic and 1-button remote. These have 45° bent plugs. These suffer through continuous strain much better. You can also use them to share your music with another headphone by daisy-chaining. You can use the extra 3.5mm port for sharing. These V-Moda headphones come with a plug to seal the unused port. Yes, that’s how meticulous these folks are. The V-Moda M100 hip hop headphones go full tilt in their bass section without ever losing control. It is one of those rare headphones that both audiophiles and bassheads will happily accept. The bass is boosted but cleanly so. The bass adds warmth and body to the audio response. It sounds rich and punchy with enough sub-bass impact to ring the vigorous words of Snoop Dogg true. They have a more visceral impact than the ears compared to their predecessor M80. Only Beyerdynamic Custom Pro One shows more dynamic character than M100. The midrange of the M100 hip hop headphone is clear and full-bodied. The highs are smooth and devoid of any harshness. The clarity is top-notch falling short of only the premium Sennheiser Momentum2. hats, studio headphones for some, excellent midrange, sweet delicious bass, and comfort through long hours. But what makes people tick with these headphones is that they deliver premium quality detailed sound for a very affordable price. Their audio response makes every genre sound fun. It’s high time they find their place in the best hip hop headphones list. 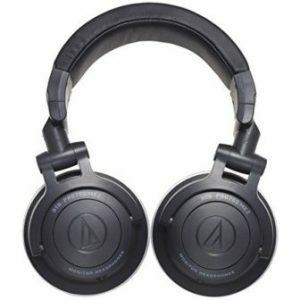 The Audio-Technica ATH-M50x hip hop headphones carry the understated charm of that A-T is known for. They are entirely black with subtly gloss on the A-T logo. These are large sturdy headphones. We find them stylish. But their mainstay is comfort. The headband is moderately padded. The earcups are opulently covered in cushioning and draped in pleather. The clamp pressure is optimum for comfort and grip. The rectangular oval earcup sit spaciously on normal to large ears. They weigh shy of 10 ounces, which feels both secure and easy to carry. The earcups of these hip hop headphones revolve flat. The arms of the headband also rotate inwards and pack into half their original footprint. The earcup turns and bend outwards for single-ear monitoring. The construction is entirely plastic but it’s literally built like a tank. There are 2.5mm ports on both earcups for their detachable cable. These have a twist-and-lock mechanism. There are three detachable cables in the pack. One is a 1.2m straight cable, a 3m straight cable and a coiled cable for monitoring. There is no cable with an inline remote. However, you can buy a 2.5mm-3.5mm cable separately. A vinyl carry bag is provided. Buying a case would be a good step. There’s a ¼ inch screw-on adapter to connect it to studio equipment. These are marketed as Professional Monitors. The Audio-Technica ATH-M50x hip hop headphones are marketed for studio monitoring but any audiophile will point out that these are far from neutral. The M50x are just too fun for monitoring. And thus perfectly suited to enjoy hip hop. The agility and the range of audio response are exceptional for the price. The bass extends deep into the sub-bass region. The bass beats with a lot of emphasis but complete control. There’s no hindrance to midrange from the bass here. The mids are set in a wide open soundstage compared to other closed-back headphones in this price range. The highs are smoothened to eliminate the edge. But the all-round frequency response is detailed. The instrument separation allows you to envision a large stage with plenty of space in between. own subwoofers connected firmly to your ears. The high-grade construction leaves you in no doubt that it deserves its price-tag. The modular design allows the user to tweak it to personal comforts. Pro 900 is the one Ultrasone headphone where the S-logic has palpable effect on the audio experience too. These are tailor-made for the best hip hop headphones list. The Ultrasone Pro 900 S-Logic hip hope headphones feel and look exceptionally well-made. They have a broad headband that easily handles the weight of the ear pieces. The round earcups have a metallic backplate for effect. It subtly denotes the style of Ultrasone: classic but bold. The earcups are moderately padded with velour earpads. These are the softest, most breathable earpads in the market. They are detachable and replaceable. Ultrasone also packs an extra pair of velour earpads in the box. The soft goodness of the material also touches the top of your head in the form of headband padding. The earcups of these hip hop headphones fold flat for storage. They also curl inwards for storage at a reduced size. They come with detachable cables: one coiled and one straight. The former can be connected to studio equipment with its 6.3mm jack. It comes with a flat case. This tightly fits the headphones and has a mesh pouch for the cables. The clamp pressure of the headphone is minimal and your ears never get steamy. 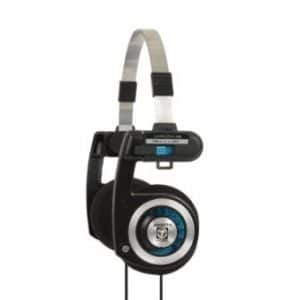 Ultrasone loads all their headphones with MU metal bufferboard which is said to reduce emissions to ultra low levels. At 295g they are slightly heavier than average. But the comfortable earpads and capable headband help you wear it for long periods of time without stress. The Ultrasone Pro 900 hip hop headphones need a ridiculously long burn-in time. You will find a noticeable difference in the sound once you have jogged the audio response with different genres of music. The bass beats with great authority. The reach into the sub-bass region is unbelievable for a headphone, it feels like two subwoofers by your ears. It’s not just about impact, bass is detailed and controlled in spite of its power. The audio is non-fatiguing so you can listen to even the active genres like hip hop for hours. The highs are similarly boosted like the bass. You get a distinctive bite that many people like. Treble is detailed. It might show some sibilance with selected tracks based on the content. The mids sound a tad recessed only because the bass and treble get a lot of attention. Essentially, they are just neutral. The soundstage sounds more 3D than it is because of the S-logic effect. This gives it a holographic quality which makes you perceive the stage to be bigger than it is, somewhat like Dolby Surround sound. noticeably great bass that cuts right through to the hip hop and other EDM fans. They are built simple but solid enough to keep up with daily abuse. As DJ monitors, you can use them to monitor hip hop music as well. These are convenient and compact just like the M50x. Their reasonable price tag is the final straw for their entry in the best hip hop headphones list. 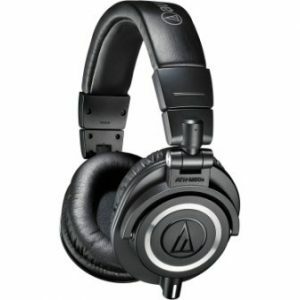 The Audio-Technica PRO 700 MK2 hip hop headphones look much like their popular cousin the ATH- M50x. The matte black finish is almost utilitarian. The headband is broad and padded. The earcups are circular with a subtle A-T logo on the back. The earpads are intentionally kept thin because the DJs need drivers to sit close to their ears. But A-T did not figure how popular these would be with casual hip hop fans. So the headband pressure can feel firm and the earpads feel shallow. Fortunately there are quick fixes. The headband can be stretched on a pillow. And you can remove the earpads of PRO 700 with replacement pads of M50x. They fit perfectly well. These hip hop headphones fold inward into a compact package. The earcups also fold flat. The ear pieces swivel for single-ear monitoring. These have detachable cables. One is 1.2m straight cable and another is a 1.2m-3m coiled cable. A screw-on ¼ inch adapter is included for connecting them to studio equipment. The carry pouch provided with the set is a simple vinyl bag. Durability-wise, neither the headphones nor the cables will give you any cause for worry. Although the comfort of the A-T Pro 700 MK2 can be a thorn on your side, the audio quality redeems it. This is a premium-sounding DJ headphone. Bass and sub-bass presentation aces the M50x here. The low-end frequencies ring with a powerful punch. The texture of bass is of note here. It adds excitement to the audio response. The intricate details of these frequencies are laid bare to see. The treble is smooth and reined in to focus the attention on the bass. The midrange is neutral and clear. It has plenty of details to satisfy an audiophile. The soundstage is expansive. It excels in both width and depth considering this is a closed-back headphone. The tight bass also make the imaging clear and lends plenty of space to all instruments. headphone which sits on the ear rather than around it. These are a revelation in terms of bass. The audio quality is stunning at this price. If you can make peace with the unconventional design, this is one of the best hip hop headphones. The Koss Porta Pro hip hop headphones pander to those people who don’t like heavy ear pieces pressing on their ears. This has been around since 1984 and the design has survived. They must have been way ahead of their curve because they included a 3-step setting to increase the tension of headband to your taste. Big win for customizations. The earpads and the part that touches above your ears are of foam. The headband is metal. The earcups can fold inwards for storage. There’s a metal hook that clips the headband arms together. The cable connects to both ear pieces and ends in a 3.5mm jack. These are extremely comfortable for regular use. The Koss Porta Pro hip hop headphones are open-back. They are for the occasions when you want to blast music but not be deafened by music. There is potent bass supporting their audio, from hip hop to classical. The midrange is clean and transparent. The highs are smooth and without any harshness. They have exceptional detailing all across the genre, much better than the price demands. The instrument spacing and imaging is partnered by the thick, delicious bass. another one of Sony’s attempt to fit in with the hep crowd. The sleek design and the inclination for good bass have been properly executed. Sony hits a home run by providing one of the best hip hop headphones in the market. The Sony MDRXB800 hip hop headphones look formidable. They sport a petite but broad headband. This sits lightly on the head and distributes the weight of the earcups even across a large area. The band can be extended to fit larger heads. Round earcups dangle from the headband. These are on-ear headphones. The earcups sit ON the ears rather than around them. The ear pieces can swivel forward and backwards to adapt to your head shape. They weigh 10.23 ounces, so they are middle-of-the-road in terms of weight. The cable of these hip hop headphones is permanently attached to the left earcup. This is a flat and serrated cable so they are relatively difficult to tangle up. The 4-feet cable ends in a 3.5mm jack. There’s no mic on the cable, so you will have to take calls directly on your phone. The forks holding the earcups fold inward reducing the size of the headphones to half for storage. The Sony MDRXB800 hip hop headphones make for a great listen party because of the seal they provide over the ears. It’s known that a good seal is essential for a complete bass experience. The bass is punchy here and compliments the EDM genres. This is quality bass to peppered with details and a smooth texture. It forgives the rough edges of bad recordings or formats. The midrange gets equal attention. This is Sony after all. They don’t play with unbalanced music. The highs sizzle alluringly, but they never get sibilant. So you get an energetic sound signature which makes any genre fun to listen to. The on-ear design is surprisingly comfortable which also helps you revel better in your listening experience. exceptional build quality and design is the same as M100. The audio detailing is where the cost-cutting happens. But it’s not audible to untrained ears. The price-drop for V-Moda’s stunning quality was incentive enough to put it on the best hip hop headphones list. 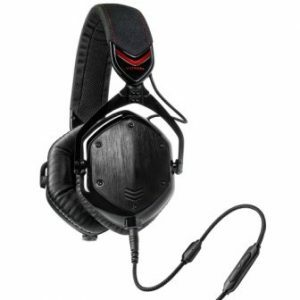 V-Moda Crossfade LP2 hip hop headphones have the same grungy design of most V-Moda headphones. The frame is entirely lightweight metal. The earpads are hexagonal but slightly smaller than those of M100. If you have large ears and wear the headphones continuously for more than 3 hours, consider switching the earpads for XL ones. These headphones can fold inward into a very small package. They fit into the compact exoskeleton case that comes with the box. These hip hop headphones have Kevlar-reinforced detachable cables. One is audio only and the other has an inline mic and single-button remote. LP2 adheres to the same military standards of durability as the M100. A pair of extra backplates for the ear pieces is provided for customization. LP in the V-Moda line stands for Live Play. This emphasizes bass as opposed to the M-line which is for audiophiles. The bass is buff here. It is boosted to give the hip hop music a nice edge. It extends decently well though not as much as the A-T Pro 700 MK2. For most songs, bass response is agile so you can play complicated songs here. The treble sparkles here and meets the bass with all the gusto. The V-shaped signature makes the mids sound recessed. But they are clear for hip hop purposes. The bass doesn’t distort. Soundstage is huge for a closed-back can. back headphones. Its bass game is spot-on. It is a comfortable headphone built to endure the nervous energy of a hip hop fan. The low price-tag for such a premium fare gets it on the fast lane to the best hip hop headphones list. The Ultrasone HFI-580 hip hop headphones look every bit as sturdy as the Pro 900. They follow the same black and metallic finish here. The earcups are racetrack oval and padded opulently. The headband is broad and layered with a cushion under the crown. The earcups fold flat. The arms of the headband also fold inwards to reduce it into a very compact package. These hip hop headphones have a fixed cable. At this price, we don’t mind if Ultrasone economizes on these aspects rather than build quality or sound. The cord ends in a 3.5mm jack. That being said, The HFI-580 is very comfortable and lighter than it looks. The pleather pads sit on the ears with minimal clamp pressure. The Ultrasone HFI-580 hip hop headphones have enough bass to drown out the commute noise. Need we say more? This is quality bass which remains tightly controlled from coloring the mids. The details are all there which keep 580 from getting confused while playing a complicated mix. The highs are boosted to match and end up being sibilant in some tracks. The midrange is clear but sound recessed compared to bass and treble. The S-Logic technology lends it a wide soundstage. DJing. Its no-nonsense looks go with prodigious bass to match. It is portable and lightweight. But it pulls its weight in terms of the audio quality. These earn a place in the best hip hop headphones list no questions asked. The Pioneer HDJ1500 hip hop headphones use metallic relief in all black design. It’s either completely black or a combination of silver and black. The headband is broad and padded only at the crown. The earcups are over ear and have thick round padding. These swivel forward on the headband arms. The arms can twist 180° for single-sided monitoring. The clamp pressure is moderate for normal heads. It can be stretch on a pillow to fit larger heads. These have a detachable half straight, half coiled cable. It terminates in a 3.5mm jack with 6.3mm screw-on adapter. Since these are meant to be out and about DJing, they did not pack a substantial carry case. The Pioneer HDJ1500 hip hop headphones have a natural flair for a producing deep bass. The sub-bass content depends deep into the lower frequencies effortlessly. The bass is agile on its feet. So, complicated songs with a thick mix of instruments will get fair representation with all the details. The deep bass is clear and impactful. The midrange has its own prominent place and it doesn’t need to compete with the natural bass. The highs are smooth and music to ears.